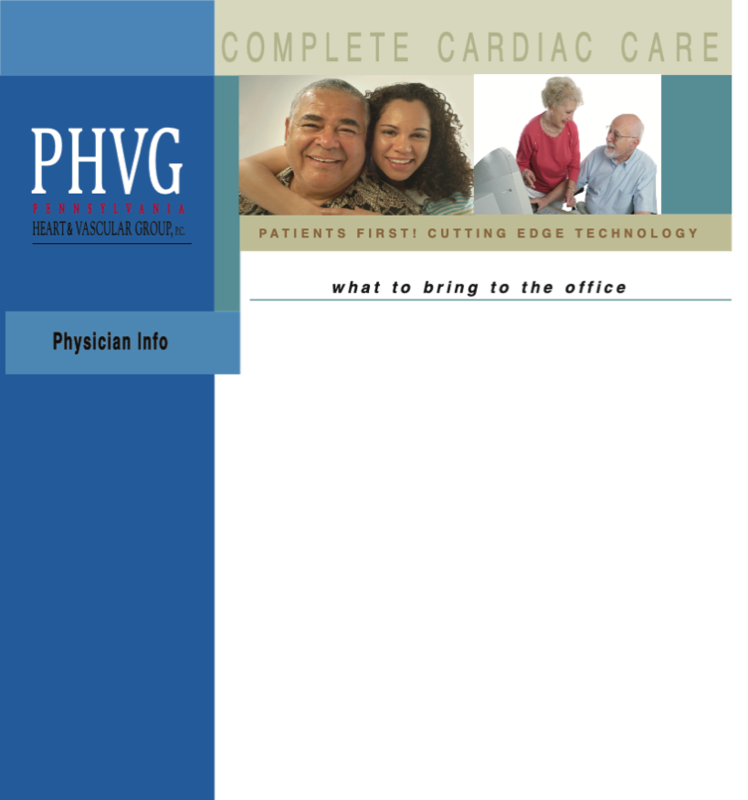 When you come to one of PHVG’s offices for the first time, you will be asked to fill out three forms. The first form concerns your name, address, phone numbers, and contact information is case of an emergency. The second form concerns your health history, list of medications, allergies and family history. This will allow your physician to make the best use of your time together at your initial visit. The third form is a pharmacy questionnaire. We are now electronically submitting prescriptions to the pharmacies and will need to make sure your pharmacy is in our database. In order to make best use of your time in the office, please consider downloading these three forms before coming to the office for the first time. Fill out each of the three forms and bring them with you when you come to the office. Click here to download all three forms. Print each form to your local computer. Please bring all of your insurance information with you. This includes names and addresses of your primary and secondary insurances. HMO patients: Please make sure you bring an HMO referral with you! Payment is expected at the time of service. We will accept cash or check. When you come in for your appointment, bring all of your medications with you. Also, bring any medical records you might have. If you have had any recent blood tests or heart tests, please ask your primary doctor to send us a copy. Please remember to call as early as possible to let us know if you will be late or unable to keep your appointment. If you have any questions, don’t hesitate to call any one of our offices. Look forward to seeing you!